It may not be a great secret, but I usually avoid starting a conversation by telling this, so even people who know me well might not know it: I really like tomatoes! Besides sun dried tomatoes (which I really do not like) and pickled green tomatoes (which I can eat, but usually prefer not to), I like them all: Large beefsteak tomatoes, small cherry tomatoes, raw tomatoes, cooked tomatoes. The best tomatoes are the ones who stay on the plant until they are red and eatable. 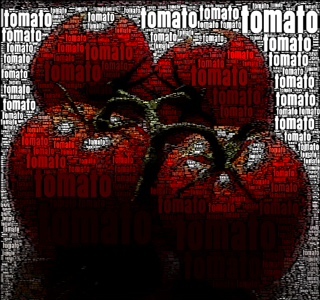 Most tomatoes found in stores were picked while still green. They do not have the same taste as a freshly picked ripe tomato. But they are still good. Fruit or vegetable? I say: both! This entry was posted in BaseWord, me on 7 August, 2011 by Erik.